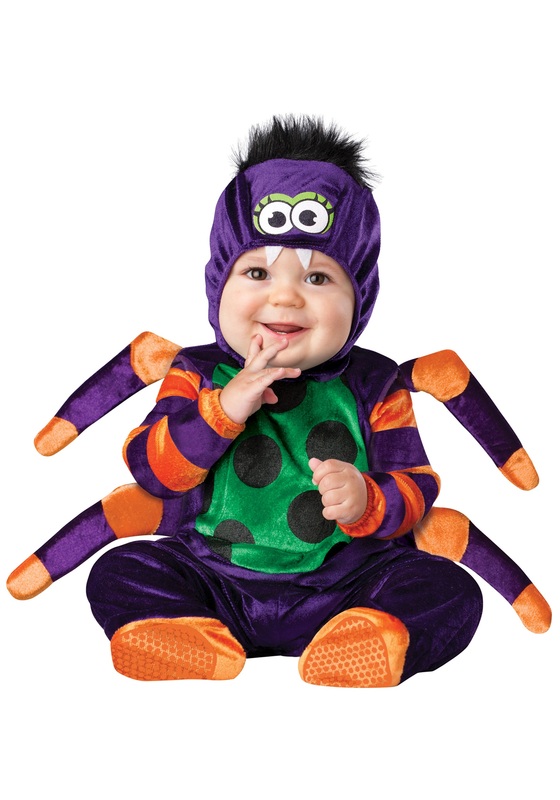 You may need to keep an eye on your little tyke when he or she wears this adorable Itsy Bitsy Spider costume. Not because of the usual stuff, like potentially spilled milk or rough-housing with the pets again, but because we have gotten word that the kiddos that suit up in this velvety purple and orange jumpsuit have a penchant for climbing up the water spout! We hope, sincerely, that resilience follows him or her into the teenage years and beyond because it could help come ACT prep time. Remember that—maybe it'll even become a nickname adored by elder members of the family, jeered at by peers, and blushed at by your little one! The jumpsuit comes with a purple spider hood with felt teeth, skid-resistant feet for your piece of mind, a Velcro enclosure at the back for easy removal, and a 100% polyester body for ensured comfort. Remember to keep an eye out for those water spouts!